Click to Download Flyer as PDF. 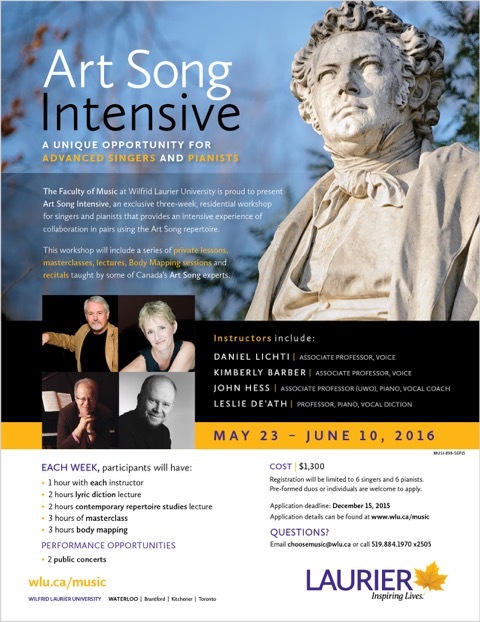 Centre for Opera Studies in Italy – COSI 2016! A workshop for Dean Burry’s new opera, known now as Pigmalione. What a summer! Great response from students arriving worldwide to our Munich Opera Program and then an incredible ending with 3 students offered a rare opportunity to return after auditioning for the ZAV Kuenstlervermittlung Agents. 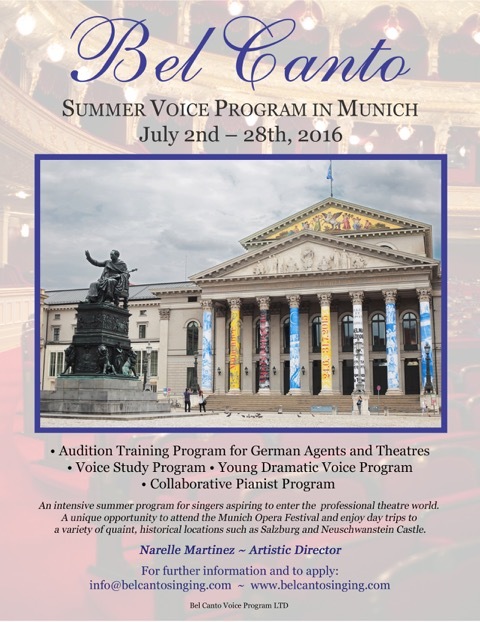 With all this positive news, we are excited to launch the 2016 Bel Canto Summer Voice Program. Students can select from a variety of programs; and what better place than in Munich, the heart of Europe. Germany has a rich and active tradition of art, culture and opera and our multi-faceted program assists students on their journey toward understanding these musical traditions and enhancing their performance skills. Our international instructors are dedicated to nurturing and developing the talent of serious classical singers. Bel Canto offers three levels of training tailored to the individual needs of the participants: the Audition Training Program, Voice Study Program, Young Dramatic Voice Program and the Collaborative Pianist Program. A German Study Program is also available for an additional fee. Bel Canto Voice Program LTD.